120. Each jaw is attached to one of the two segments, one of which has teeth outside and the other teeth inside. 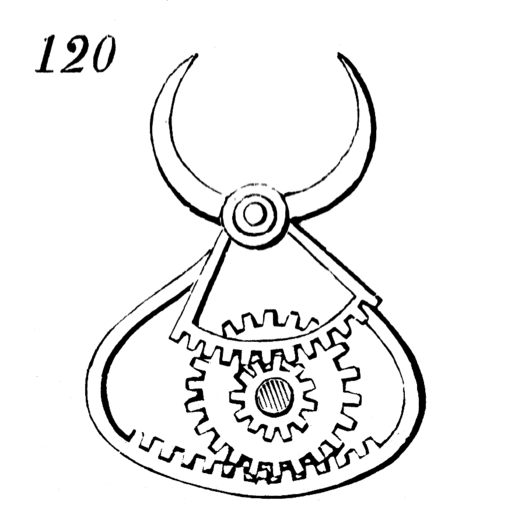 On turning the shaft carrying the two pinions, one of which gears with one and the other with the other segment, the jaws are brought together with great force.